Qmobile lunched new slim smartphones which is the family member of Qmobile I series that is Qmobile i12, It comes with all latest features and high quality camera front and rear it looks like a iPhone. 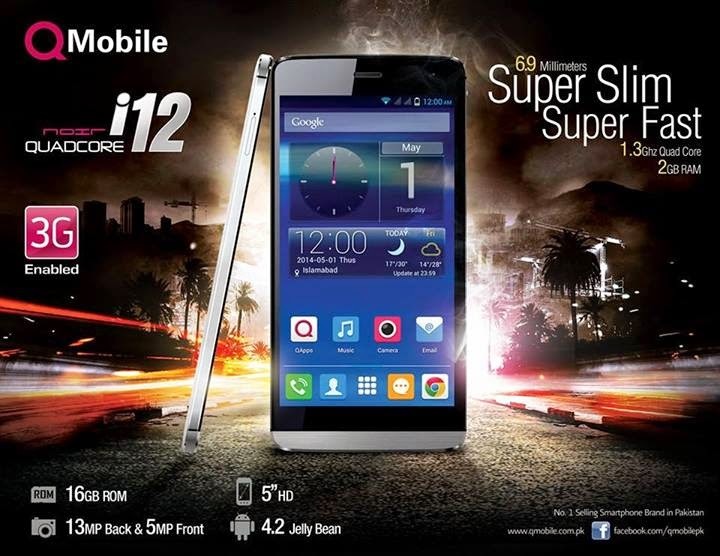 Qmobile i12 smartphone have 16 GB built-in memory and cannot support any type of memory card.It has Quad core processor with 2 GB of and comes with Android 4.2-Jelly Bean and also support 3G technology which is demand of Pakistani mobile customers. 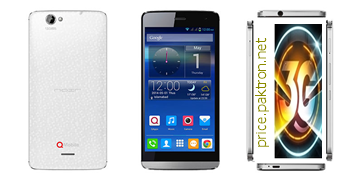 Android 4.2-Jelly Bean, Dual Sim, 16 GB built-in Memory with 2 GB Ram, 1.3 GHz Quad Core, 5-inches HD screen 143 x 69.5 x 6.9 mm Size, GPS/AGPS, GPRS, EDGE, Bluetooth, WiFi, Torch, Battery 2000 mAh. 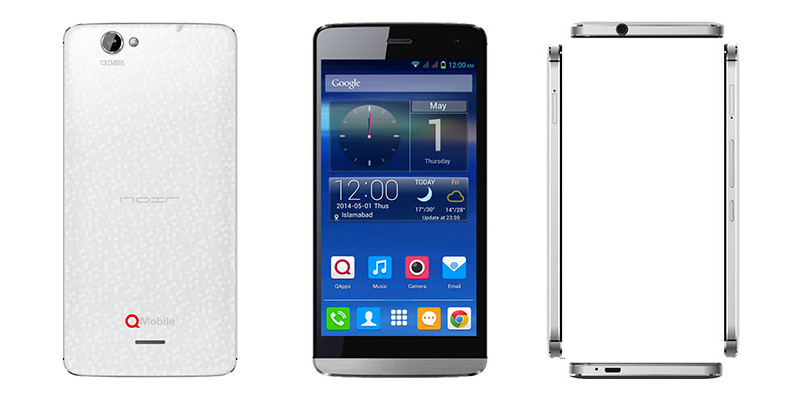 Qmobile i12 has 13 Mega-Pixel rear camera, Flash Light and 5 Mega-Pixel Front camera for Video Chatting and Self Snaps.